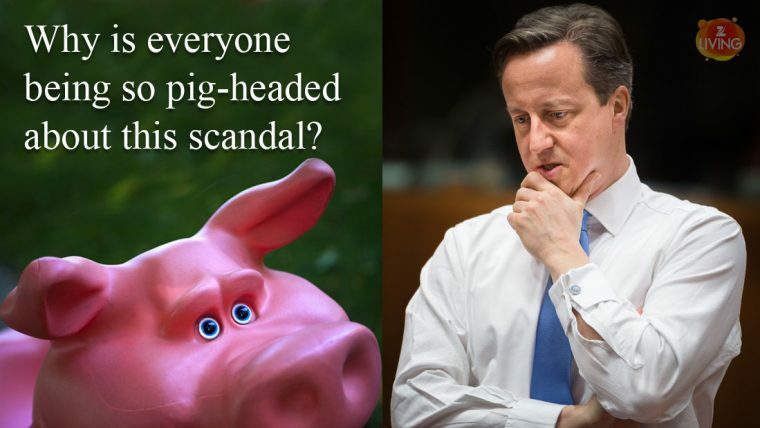 David Cameron Pig Memes Go Viral - Oink Oink! David Cameron Pig Memes Go Viral! – The past couple of weeks have been fantastic for UK politics. Rumours abound that British PM David Cameron was involved in some sort of weird university initiation ceremony. With a pig. Obviously, a frenzy of pig memes then hit the internet. Check out the best funny David Cameron pig memes via Slapwank. In a way, Slapwank doesn’t know what all the fuss is about. I mean, it’s not like the pig was alive or anything? Still, we got in on the fun and created a few David Cameron pig memes of our own. Or should that be David Hameron?! And of course, the David Cameron Pig Memes craze, also spawned a run on old pig jokes. If you have any to add, leave a comment below! “Q: What do you call a pig thief? Q: What do you get when you cross a frog and a pig? A: A lifetime ban from the Muppet Show studio. Q: What do you call a pig with no legs? Q: Why was the pig ejected from the football game? Q: How do you take a sick pig to the hospital? Q: What do you call a pig that drives recklessly? Q: How do you make a pig squeal? A: Kick your step mum in the FACE! Q: What’s worse than a male chauvinist pig? A: A woman that won’t do what she’s told. Q: What do you call a pig that’s wrong? That’s all the pig jokes for now. I’m off to get a bacon sandwich.